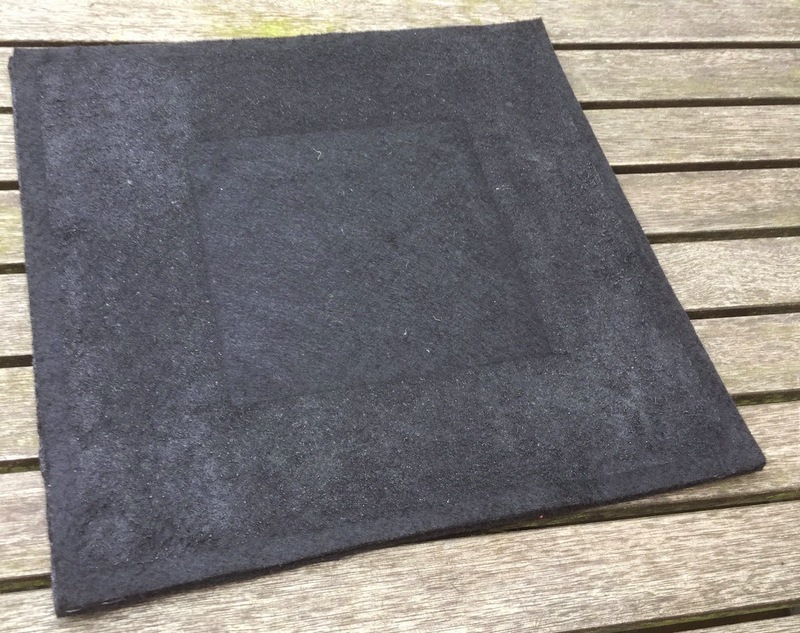 From a thick sheet of synthetic felt, had glued two layers together to make a typewriter pad. 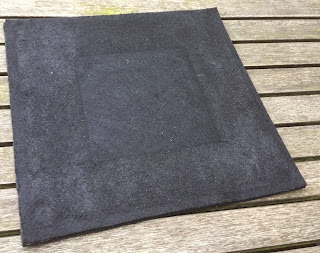 The pad did do something for the amount of reverberation of the table, but the felt also was very smooth. This meant that with every character typed, the machine made a shuffle to the left. As if trying to sneak off-stage to the left, hoping you'd not notice. 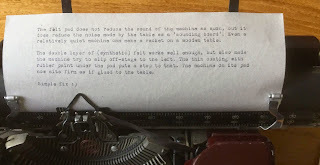 Typewriters have rubber feet to keep them firmly in place, would be worth a try to give the felt a rubber coating as well. With a spray-can of plasti-dip that was very easy to do and give it a try. 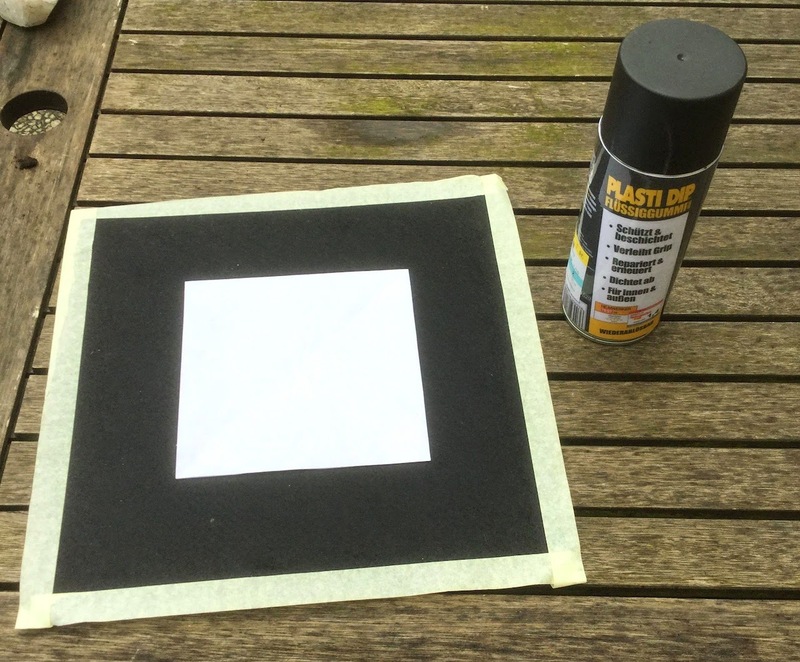 Not wanting to spray the whole of the pad bottom and to keep the edges clean, taped off the edges and taped a mask in the centre. A typewriter's feet will be around the edges of the pad always - where the anti-slip is needed. Placing it vertical, gave it a few layers of plasti-dip. Vertical is better for a spray-can of course, but was also worried that the very runny rubber paint would just soak through otherwise. Result is definitely not like an even layer of paint, but it is a full layer and does cling well to the 'felt'. 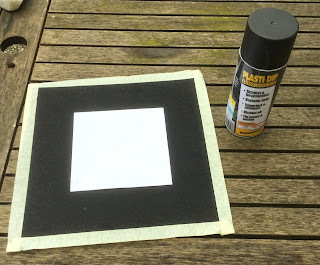 Removing the masking, a black rubber coating now around the black felt pad. Net result is a typewriter pad that does reduce the noise of the table a little bit and also stays very firmly in place. 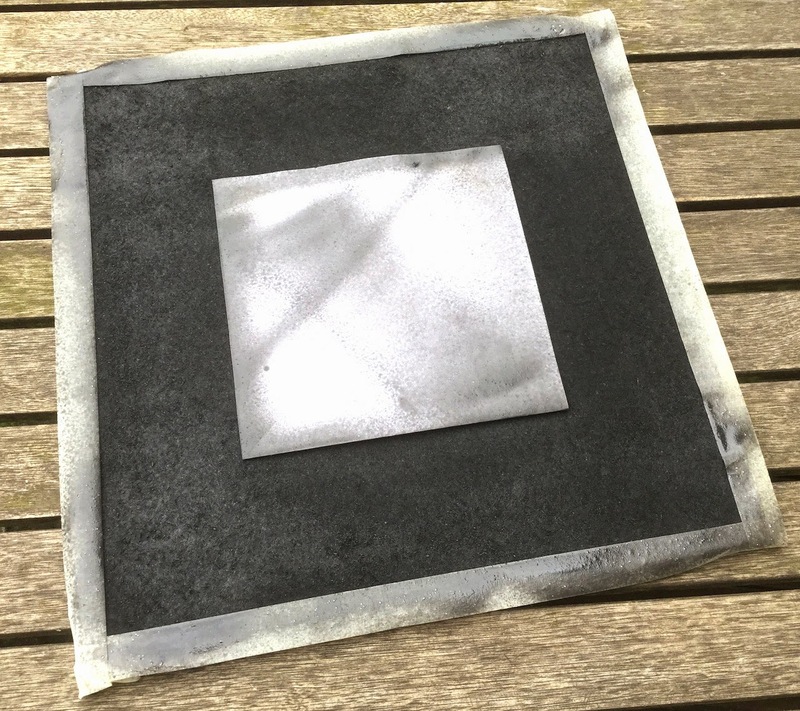 This pad would also help machines with hardened feet that have lost their grip, to keep them in place. Very clever and looks great - especially under a Corona Sterling. 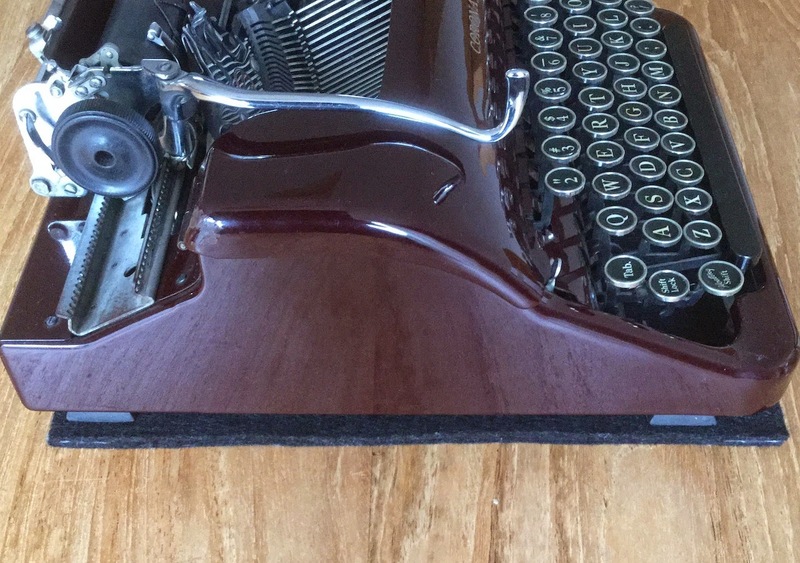 I've thought of making a typewriter pad before but never could think of a good way to keep it from slipping. This is a good idea! I wonder how the rubber spray will last after lots of use. Me too. Plasti-dip peels off easy on most surfaces, but this seems to tangle well.